Replacement Key Fob - Done! Just ordered a replacement fob from Amazon and fitted the electronics inside it. Works perfectly and no more holding down! The original Suzuki blade doesn’t fit the kit but I’ll get a new one cut tomorrow, at least I’ve got a backup key blade now too. Replied by NickR on topic Replacement Key Fob - Done! That sounds like exactly the same issue as I have. Everything works but the button needs a firm hold down to lock it. The rubber button is pretty worn, but I assumed a firm press would compensate. No idea why it seems to work a second or so after you start holding it down, as though something is warming up!! So, did you effectively just replace the plastic case? Could you have just replaced the rubber and top cover, so the old blade/bottom cover was still usable, or were they not compatible with the bottom cover? Any pointers much appreciated - I was looking at the other threads here discussing a new key which needs coding and cutting, and this seems worth trying first! Replied by Riccy on topic Replacement Key Fob - Done! Try taking apart and cleaning, then a new battery as the first port of call. amazing how much dirt gets inside the rubbers and surrounds. It makes the buttons stick on slightly and flattens the battery fairly quick. I tried that, hoping they were carbon pads for switches or similar, but it made no difference. New battery didn't help. The unlock works perfectly, even from a distance. The lock works from a distance, it just requires a firm hold rather than a press. Replied by Max Headroom on topic Replacement Key Fob - Done! I replaced the battery in mine only last week as it started workling/not working randomly. I was a bit surprised to find that the battery was a CR1616 . Anyway it all works now, but looking at the internals while it was all apart, I would imagine that trying to solder anything would probably require some good soldering skills and a specialist micro-soldering iron. I reckon even some of my aviation avionics colleagues would look upon that job with some trepidation! Last edit: 04 Dec 2018 09:45 by Max Headroom. Replied by Scimike on topic Replacement Key Fob - Done! My remote works in a similar way. If I stand still and hold the button for a few seconds it will unlock / lock the car. If I am walking as I press the key its unlikely to do so. I have taken it apart, the PCB resides inside a rubber bubble with the buttons moulded into it. The actual PCD buttons are surface mount switches, so are not that easy to clean. I gave the complete assembly a clean and reassembled, after which it worked with a short press whilst walking, so it can do this. Unfortunately it only lasted a few days and its back to the slow deliberate press. Lieghlo changes imply that its the rubber bubble/ key moulding thats the issue, as thats the only items changed, the PCB and switches remain the same. We could do with this confirming. So maybe its the rubber indenting or distorting with time preventing the button being pressed cleanly? 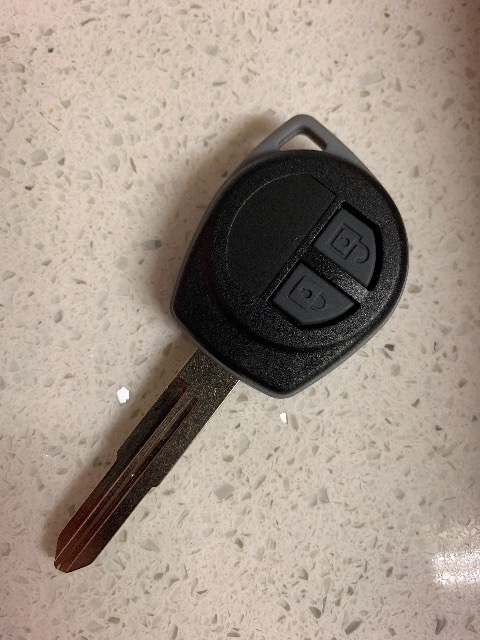 Replied by Delux on topic Replacement Key Fob - Done! Sometimes soaking the buttons on the pcb with electrical component cleaner then pressing the button fast for a few seconds helps. Also, those with intermittant faults after changing the battery, try bending the springy contacts that contact the battery slightly. My current project is HERE! I had not got round to checking this again, as the key is basically working, but this piqued my interest, so I stripped the key down. Both switches had some sticky green gunk on from somewhere so I cleaned that off. I noticed the (working) button for me clicked properly, but the (less-working) button did not have a click, but the whole button housing moved. Looking closer I could see that 2 of the solder connections had broken, and there was no movement in the no-longer protruding button nib. 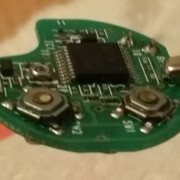 So, it appears that the switch may actually be permanently closed, but electrical contact is only made when pushing down on the button which moves the whole housing, closing the open solder connections!! I cleaned the gunk up again, and now the switch works a lot better, at least for now. 1) Confirm that the vehicle is the following conditions. • All doors are closed. • Ignition key is out of ignition switch. • Driver side door is unlocked. 2) Disconnect negative (-) cable from battery. a) Connect negative (-) cable to battery. b) Operate driver side door knob switch from lock to unlock. operated from lock to unlock. d) Push driver side door knob switch to lock position. Replied by Jezz on topic Replacement Key Fob - Done! I am aware this is a ford key fob remote, But if you get brave enought to get the soldering iron out, The principles are the same. Thanks Jezz - he makes it look easy in that video!! I have ordered this key to replace the remote-locking internals of my current key (hopefully the middle assembly will just drop in the original key case. That leaves me the opportunity to try my hand at replacing those tact switches with new ones! I give myself a 50% chance of destroying the PCB, so fingers crossed!! Replied by invincible on topic Replacement Key Fob - Done! Hello all, my fob knackered over a year ago and I've been using the large spare to lock the door manually, be good to use remote key again though, the outside casing is all broken and the re soldered battery contacts are shot at, am I right in thinking after reading this thread if I buy a new key I can just drop the inards in the old key that fits the ignition and it will work without re coding it? last time I read up on it it would need coding and cost a fortune so I went with solid key, cheers guys good thread.